How to encourage and motivate by sending personal messages to your child. 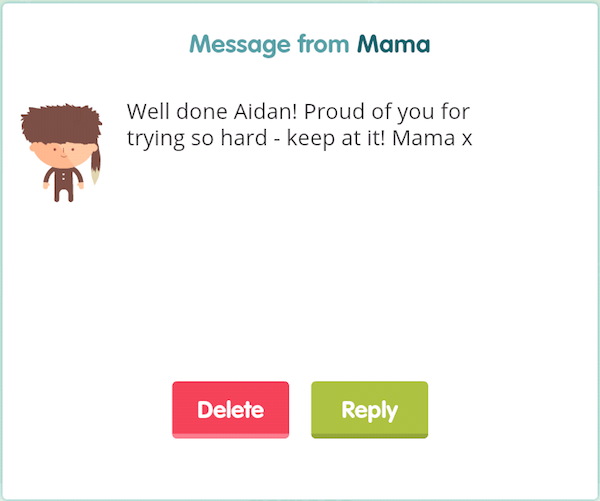 With Komodo you can send messages of encouragement to motivate your learners even when you're not around. 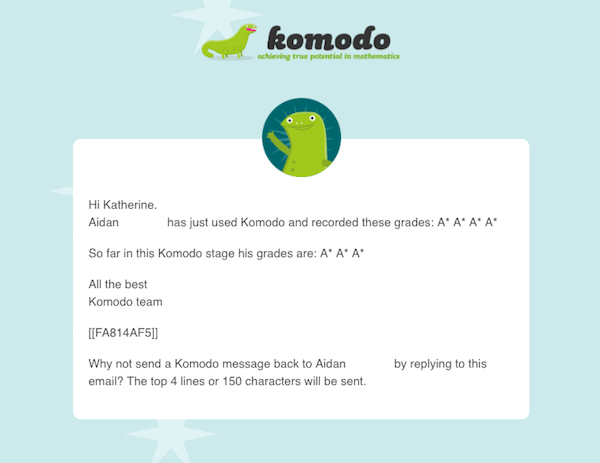 When a learner finishes a lesson, Komodo will email you to let you know how they got on. You can send a message to your child by replying to the email from Komodo. It goes straight into the learner's inbox in the app, and looks like this. Note that only Komodo emails which end with the line 'Why not send a Komodo message back to (child) by replying to this email?' reply straight to the learner's inbox. Sending these messages is a great way to encourage and motivate your child as they go through their Komodo lessons. So often, parents who work long hours might not be able to be there when their children are doing their work and studies. Komodo offers you the opportunity to celebrate their efforts even when you can't be there in person. Encouragement is a huge part of the motivation that will help your child to keep on trying when they are struggling or when things get more difficult.